Rachel Ganson ’17 traveled around the world conducting research and doing service work as an undergraduate. Rachel Ganson’s path in the College of Arts and Letters led her to China, India, Iceland, Italy, and Spain. And to exactly where she is meant to be. 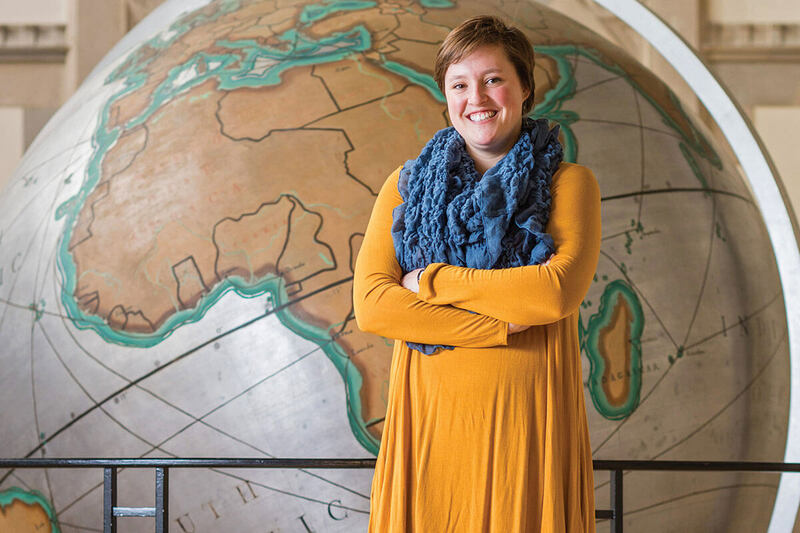 For Ganson ’17, who majored in political science, that passion is global food security and sustainability. Ganson with nets of dried fish in Iceland. The summer after her first year, Ganson did service work in Beijing at a foster home for disabled children and a community outreach center. The next summer, she interned at a think tank in New Delhi focused on education policy and entrepreneurial activity — then flew directly from India to Reykjavik, Iceland, to explore an interest she developed in sustainable fishing practices for an independent research project. 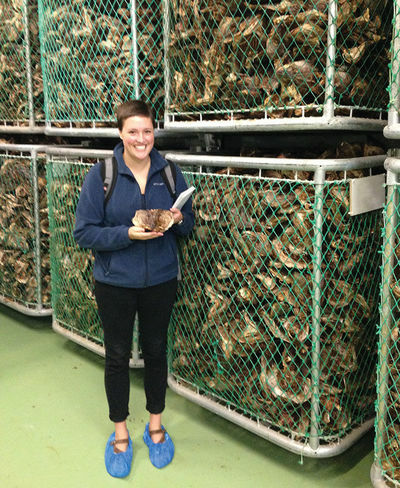 Each of these experiences — funded by Notre Dame — helped her narrow her focus and find her niche. Ganson, who minored in Italian and philosophy, politics, and economics (PPE), next set her sights on the Mediterranean — one of the most overfished areas in the world. She spent the spring semester of her junior year and the following summer studying in Rome and researching the issue in Notre Dame’s Rome International Scholars Program. That work, along with further research in Spain during fall break her senior year, became the basis for her senior thesis on the environmental consequences of overfishing and the efficacy of international law and interstate cooperation. 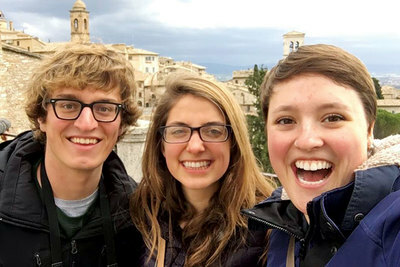 Ganson and friends on a pilgrimage to Assisi, Italy, in 2016. A Hesburgh-Yusko Scholar, Ganson also volunteered at the South Bend Center for the Homeless, played for a variety of interhall sports teams, acted in student productions on campus, and participated in Baraka Bouts, a women’s boxing club dedicated to raising money for Holy Cross Missions in East Africa. She plans to attend law school and prepare for a career in international law. Originally published by Carrie Gates at al.nd.edu on June 27, 2018.